Newcastle United brilliantly preserved their Premier League status last month as four successive wins saw them surpass the magic 40-point mark, with them previously being well embroiled in the battle to beat the drop. The last victory in that sequence – a 2-1 success against Arsenal at St James’ Park – took them to 41 points, and with the likes of Leicester City and Everton in reach above them, the aim should have been to try and finish above the duo. 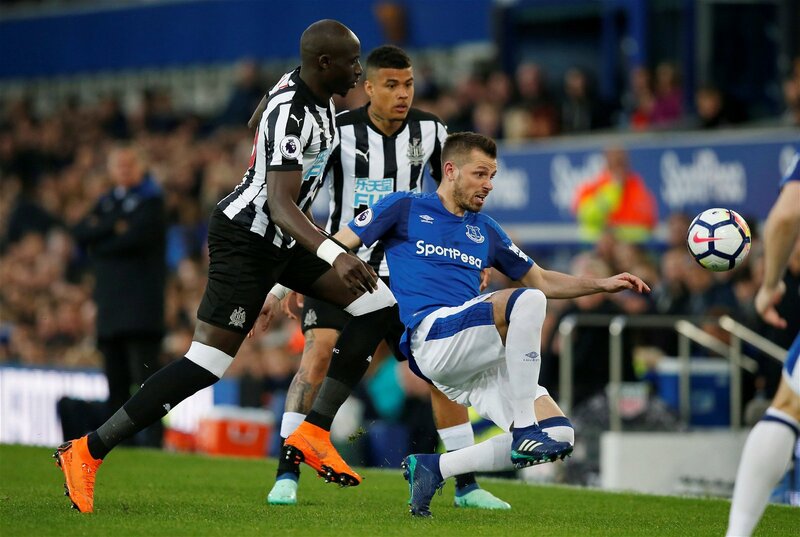 The Magpies had the perfect opportunity to leapfrog the Toffees – who were just one point above them in the standings – when they faced them at Goodison Park last week, but the players certainly didn’t perform to the same levels that they had previously as they slipped to a 1-0 defeat. Manager Rafa Benitez wouldn’t have been happy at all by that display, and while the club has ultimately achieved their aims for the campaign, he will know that his team shouldn’t be letting the season peter out with a whimper. The Spaniard would have been demanding a response for the visit of bottom side West Bromwich Albion to St James’ Park last weekend, knowing that the Baggies were going to be no pushover having taken five points from the previous nine available under Darren Moore. Instead, the hosts were sloppy and looked to be de-motivated, and that is never a good sign for any club playing a match in the Premier League. It proved to be the case as careless defending saw Matt Phillips give the west Midlands outfit a 1-0 lead in the first half, and Newcastle had no answer to it as they went a second successive game without finding the net. Eighth place now looks to be out of reach for the Tyneside outfit with Everton adding to their win against Benitez’s side with another against Huddersfield Town, but the Magpies could still finish above Leicester – who are currently three points above them. The Foxes are amidst an injury crisis and were thrashed 5-0 by Crystal Palace last weekend, so the Toon players still have plenty to fight for still in those terms. More importantly perhaps, they could be building momentum for next season right now, because a positive end to the campaign would mean they start the following one with plenty of confidence and belief. Making a good or bad start to the season can often decide which way it is going to go, and having survived with plenty of games to spare this term, Benitez and his players shouldn’t risk it going to waste with potentially devastating consequences in the future. The second season can sometimes prove to be a difficult one for newly-promoted clubs, and with uncertainties continuing over whether Mike Ashley will sell the club – or the transfer budget the Spanish manager could be handed – they are not guaranteed to have it easy during pre-season and beyond. Newcastle have the perfect opponents to prove that they aren’t yet on their holidays when they face Watford at Vicarage Road on Saturday, with the Hornets themselves enduring a dreadful end to the campaign having taken just two points from the previous 21 available. Benitez may well be considering freshening things up in Hertfordshire having largely stuck with the same 11 players in recent weeks, and that could be a positive thing in more ways than one. As well as allowing some fringe players that have likely been champing at the bit an opportunity to impress, it will also send a message to some of those individuals – the likes of Matt Ritchie, Jonjo Shelvey and Dwight Gayle, who Magpies fans on Twitter want to be sold this summer – that may have been getting a little complacent that their spot in the XI isn’t guaranteed. Benitez is a hugely experienced manager and he now needs to ensure that Newcastle’s high standards return, because it is unacceptable for the team to be slacking off when they still have three Premier League fixtures left to play, and a big chance to build for next season.